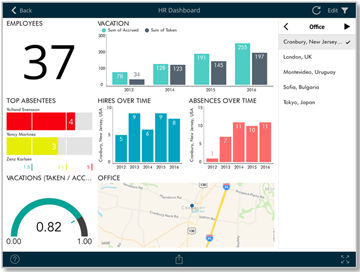 Use data visualization to communicate insight by creating dashboards that consume SharePoint data. 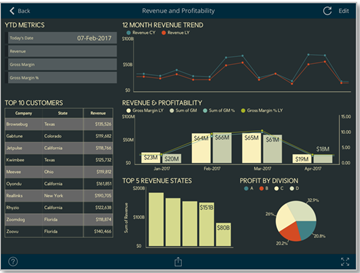 SharePlus integrates the ReportPlus interactive, easy-to-use, and fast dashboard and reporting experience. The Visualizations options include grid, text, trend line, map, gauge, chart, and financial chart views. Using SharePlus and SharePlus Enterprise, you can create a ReportPlus visualization in a SharePoint library or within any of your configured File Providers. If you are viewing an Excel File, Google or CSV Sheet, you can also create a visualization from the document previewer. 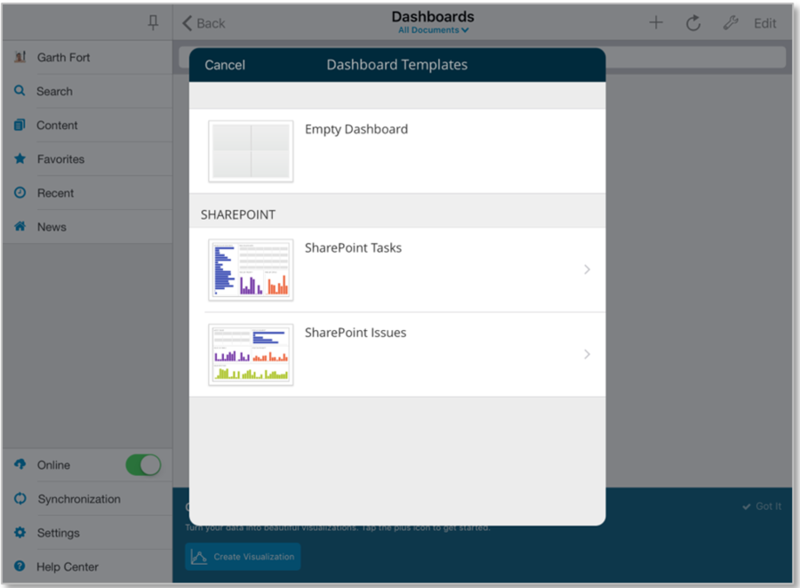 Working with SharePlus Bundle, which includes access to both SharePlus Enterprise and ReportPlus Enterprise, you are not limited to SharePoint content and spreadsheets; you create and save dashboards connected to more than 20 different enterprise data sources, including Analysis Services, SQL databases, Dropbox, Google Drive, and more. 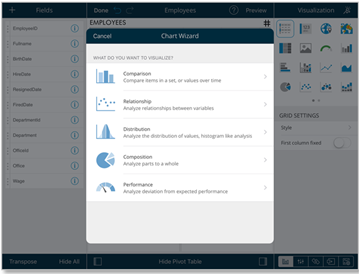 For further details, refer to Data Visualization Bundle Features in the SharePlus Enterprise section. The first time you open the list or library, you will see a banner like the one above. Clicking on the “Create Visualization” button will prompt the following dialog, which will guide you through the creation process. 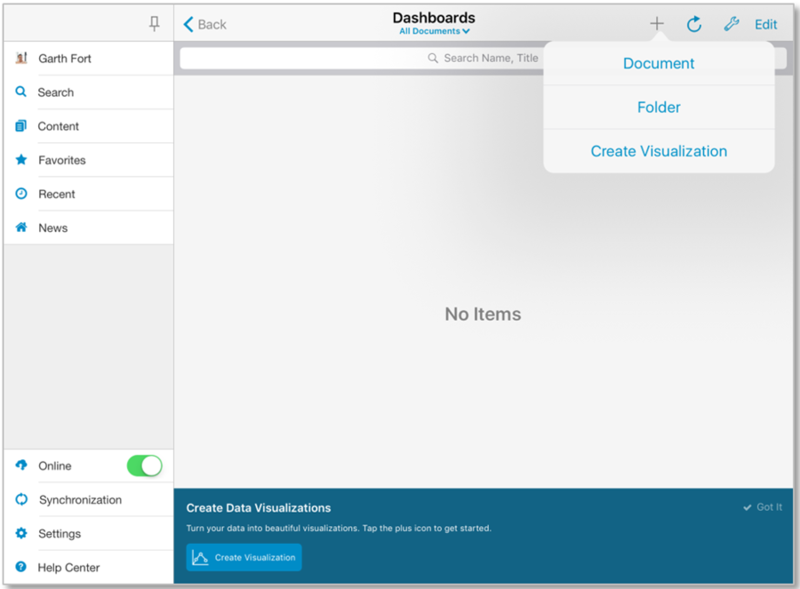 To create a dashboard using a spreadsheet, you can either tap & hold it and select “Create Visualization”, or open the Excel file and tap the visualization icon in the top right-hand corner. 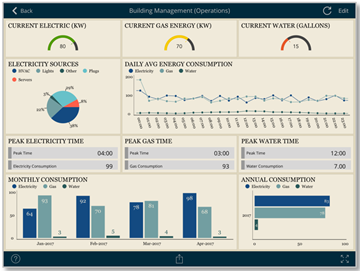 You will then be taken to the ReportPlus Widget Editor, where you will see your information in a Grid View visualization. 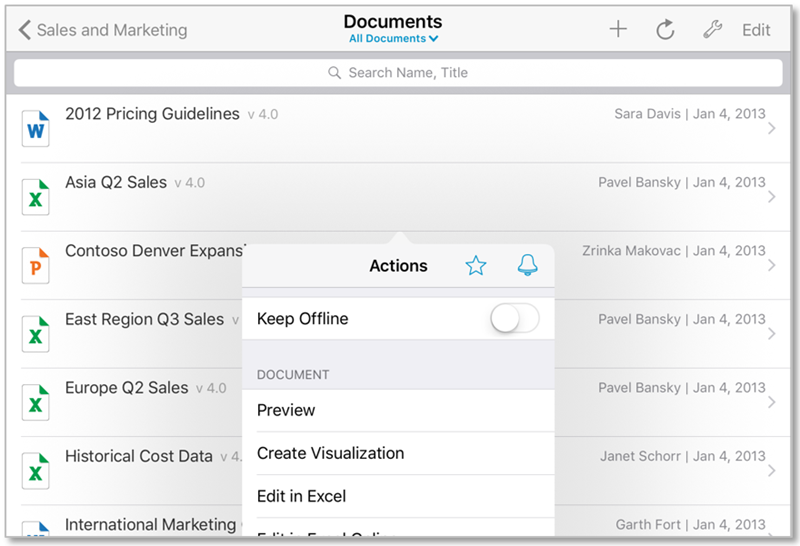 You can connect to data sources like lists and documents, including calendars, contacts, images, Excel files. 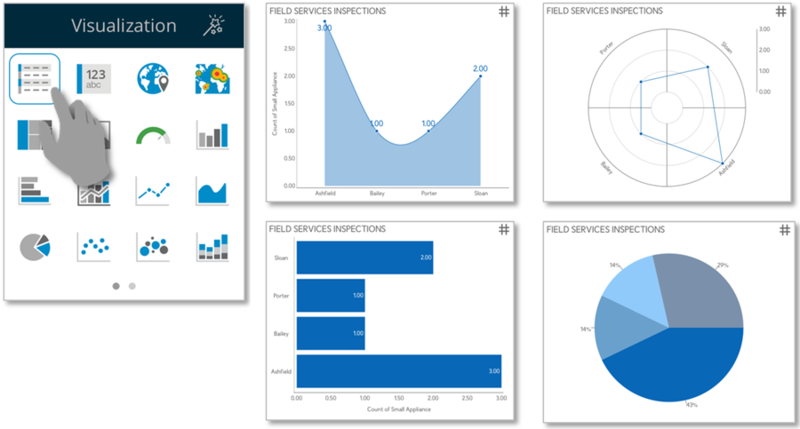 Data from SharePoint lists and Excel files allows you to apply many different Visualizations. Pivot Tables are very powerful data summarization tools that help you analyze data. 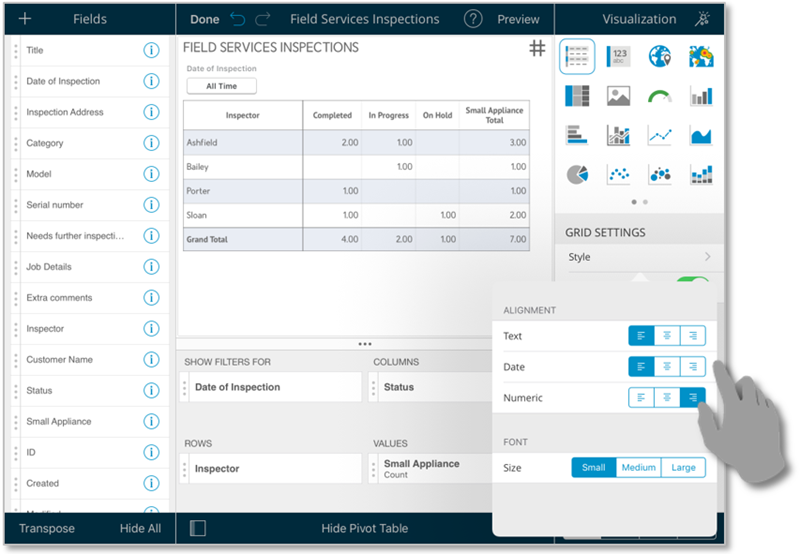 To create a pivot table, just select your data and use the Pivot Table Editor to slice-and-dice data according to your needs. When building your visualizations, you can choose between the default Grid and a large number of visualization types like Linear Gauges, Maps, Pie Charts, Candlestick Charts, etc. 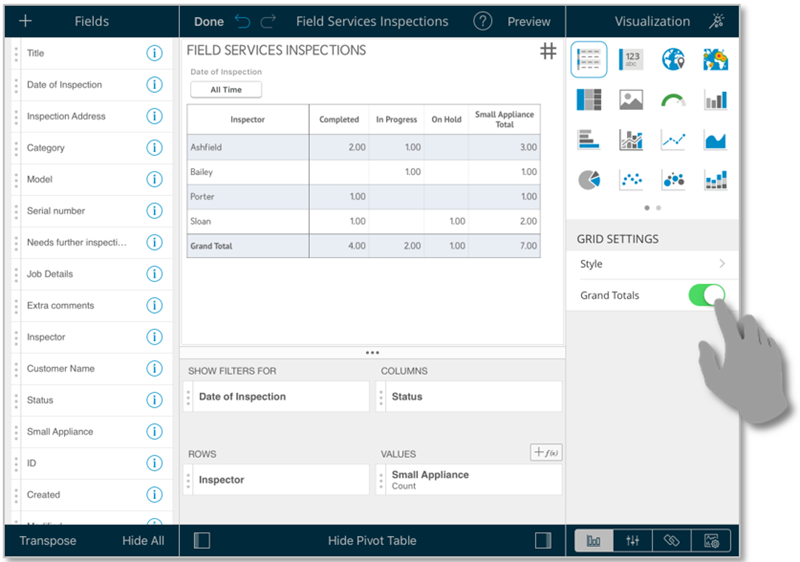 In addition, you can adjust the text’s alignment or size through the Grid Settings and add a Grand Totals field by toggling the “Grand Totals” option on/off.